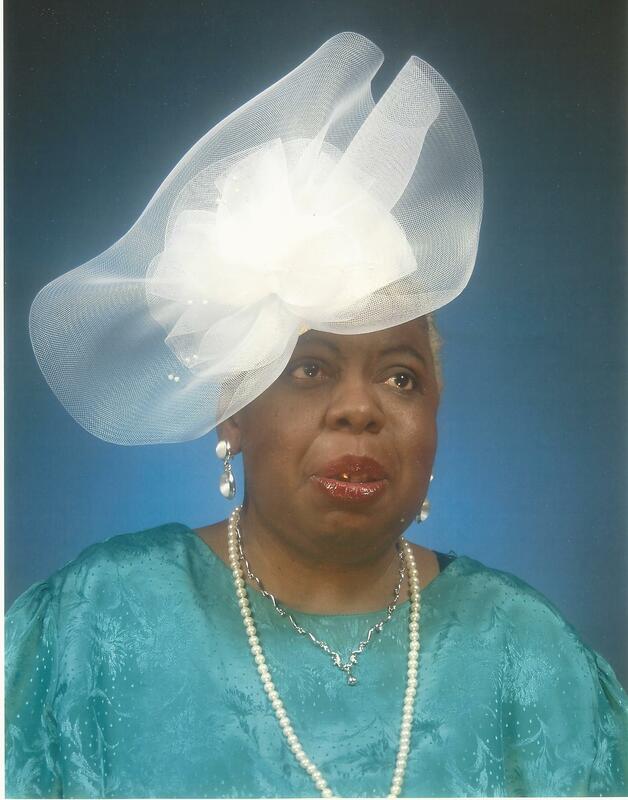 Funeral services for Pastor Ola Mae Nixon of Americus, Georgia will be Tuesday, May 26, 2015 at 1:00 P.M. at Restoration Church of Americus on Douglas Circle in Americus, Georgia with Pastor George Edge officiating. Ola Mae Nixon was born on June 29, 1925. She was the youngest daughter of (11) children born to the late Ned and Amanda Moore. Ola Mae received her formal education in Americus, Georgia (Sumter County). When she was twenty years old she met a young man named R.J. (Ira) Nixon also known as "Jake". On July 2, 1946, Jake and Ola Mae were united in Holy Matrimony and from that union they had two daughters, Rosezena Nixon and Cynthia Ann Nixon. Ola loved her family and she always was willing to make sacrifices to keep her family happy. After her husband passed away she continued to work hard to support her family until she decided to go back home to Georgia to take care of older sister, the late Louis Williams. When she returned to Georgia she was employed as a live in Home Health Care aide. She was very compassionate towards the sick and disabled. She enjoyed caring for her patients and she did it with such love and patience. Ola Mae was a woman of God. She had given her life to Christ many years ago and was determined to live a faithful and holy life. She was called to preach the Gospel of Jesus Christ and to evangelize. During her stay in Newark, NJ she was the Pastor of the New Testament Pentecostal Church for several years. She amazingly impacted the lives of her members in the ministry as well as in the community through the power of the Gospel. She had a phenomenal relationship with God, she was anointed and full of the Holy Ghost. God used her mightily in the prophetic ministry and she was indeed a prayer warrior and loved to praise God. Ola enjoyed dancing in the presence God because the joy of the Lord was her strength. She really loved people and was always willing to help someone. She did not hesitate to show love to the poor and needy and through her ministry many souls were saved and delivered. She was a humble and faithful servant in the Kingdom of God. Ola Mae was Co-Pastor with Pastor Scott at the New Birth Church in Americus, Georgia and she also served in ministry under Pastor Mathis and later served under Pastor Mercer. On Monday, May 18, 2015, the Lord escorted Ola Mae to her heavenly home. Her memory will be cherished until we see her again by her daughters, Elder Rosezena Perry and Cynthia Ann Nixon (Felipe Bartalone). (Nephew/Son), George Allen Nixon (Angela) (Grand Children) Jennifer Monique Nixon, Ivory Ray Nixon (Stephanie Lewis), Special W. Thompson(Louis), Tymina Jacole Perry (Allen Ashby) Lisa Nixon, Kara Fontaine-Perry, (5)Great Grands) Charity Amanda Nixon, Cynthia Alasha Lewis, Ivanie Alexis Nixon, and Jayla Ray Nixon, Allen Lawrence Ashby (AJ) (l)Great Great Grand) Makayla Mackey (Nieces and Nephews) Theartis Wilkerson (Terry), Mary Alice Wilkerson, CoCo, Tameeka, Sheryl, Shakira, Shawn, Jamar, Roxanne, Louise, Cornelia Oliver, Debbie, Kathy, Kym, Rose Marie, Angie, McArthur (Lisa), Johnnie, Mark, Angelica, Robert, Allen Nixon, Pierce, Ashley, Angela and Alicia (God Sons) Jermaine Batemon , Felix Kimbrough (Spiritual daughter) Evang. Josephine Woodson, Special Friends: Helen Mays, Myrtle Batemon, Evang. Frances Haugabook, Pastor Mathis and Pastor Mercer.